Geoff Schwartz & Danny Graves look ahead to the World Series with Rod Dibble, weigh in on another week of NFL injuries & how serious DeShone Kizer is about being an NFL QB. Kirk Morrison & Ben Hartsock discuss the impact of Aaron Rodgers broken collarbone. Kaepernick files a grievance against the NFL & Evan Engram & Pharaoh Cooper join the show. After a blowout victory over the colts, Seahawks WR Doug Baldwin joined Sean Farnham and Barrett Jones on the Locker Room. Must listen! Fantastic slate of games to review with Jordan Ranaan, Jere,y Fowler. Plus, anthem protest. Kirk Morrison and Dâ€™Marco Far break down the 2nd Sunday of the NFL season with some help from Mike Reiss, Falcons DB Desmond Trufant and debate over Overreaction Monday. On the first NFL Sunday of the season, Kirk Morrison and D'Marco Farr break down the biggest headlines of the day with some help from Todd Archer and Brady Henderson. Kirk Morrison, Geoff Schwartz and Danny Graves looked back at Week 1 of college football, NFL holdouts and Geoff Blum called in to talk about Houston's plight. Kirk Morrison, Max Starks and Willie Colon talked about the Mayweather-McGregor fight, Willie's protest in NYC and stories of rooming on the road. Did Magic really tamper with PG-13? PLUS Kirk tells a story about catching a ride to a Raiders game with complete strangers & MLB umps need thicker skin. Geoff Schwartz, Chiney Ogwumike and Barrett Jones host this week's Locker Room, talking anthem protests, NFL holdouts, college rivalries, and Zeke Elliott. The guys share their thoughts on the 6-game suspension for Ezekiel Elliot, as well as weigh in on how things will change for the Marlins and share their superstitions. The guys recap last night's Hall of Fame speeches & discuss why T.O. should but probably won't be inducted next year. Jeff Dickerson joins to discuss Cutler signing w/ Miami..
Pat Bradley, Cole Cubelic and Jordan Rodgers get into the storylines at the start of training camp, how to talk about athletes and coaches honestly in the media and CTE. Kirk Morrison, D'Marco Farr and Barrett Jones talk about Kyrie Irving trade demands, recruiting when coaches leave in CFB and issues for the Cowboys. Sean Farnham, Todd Walker and D'Marco Farr talk about Roger Federer winning Wimbledon, jumping from local to college sports and great teammates. Sean Farnham, Ryan Hollins and Antoine Walker talk about Summer League in the NBA and what they would tell themselves as rookies. Reaction to the finish of Pacquiao/Horn, OKC flat out stole PG13 from the Pacers, and why the NFL needs guaranteed contracts. Kirk Morrison, Antoine Walker and Chiney Ogwumike talked about the NBA Draft, their experiences being drafted and one-and-done players. Sean Farnham, Ryan Hollins and Antoine Walker discuss the biggest topics of the day including the Celtics/Sixers trade, the Louisville situation, Mayweather/McGregor and more. Kirk Morrison, Ryan Hollins and D'Marco Farr look at trash talking on the field and court, LaVar Ball and coaches working with them. Kirk Morrison, Pat Bradley and Willie Colon take on Tiger Woods' drug issues, the Leonard Williams video and how having star power NBA courtside is good news. Mike Golic Jr., Pat Bradley and Ryan Hollins joined The Locker Room discussion and talked with Terrell Owens about a variety of topics. Sean Farnham, Rick DiPietro and Antonie Walker talk NBA Conf. Finals, Tanking in sports and the potential Mayweather vs. McGreggor fight. 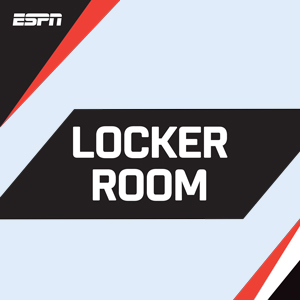 Rick DiPietro, Willie Colon and Antoine Walker get the first edition of the Locker Room going talking about LeBron, LaVar Ball and taking calls.